The No. 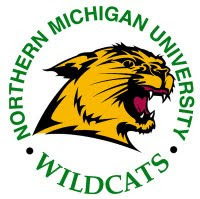 11 Michigan State Spartans blanked the Northern Michigan Wildcats 1-0 on Friday, but the Wildcats retaliated with a 3-2 overtime win on Saturday to conclude the two-game set up north. The Wildcats' record now stands at 6-6-4, 5-4-3-0 in CCHA play. Michigan State, at 10-6-2 and 7-3-2-0 in the CCHA, trails only Miami for the conference lead. State controlled the offensive energy in Friday's game as they outshot Northern, 37-20, including an 11-1 count in the second period. Brian Stewart, Northern's goalie and the game's first star, turned away 36 shots and kept his team in the running. Northern killed a five-minute penalty early in the third, and the teams appeared headed for a stalemate until late in the period when Corey Tropp netted the only goal the Spartans would need. Derek Grant picked up an assist on the goal, Tropp's 11th of the season. MSU goalie Bobby Jarosz had 20 saves. Northern's Matt Butcher was the first star of Saturday's game, and his fingerprints were on each of the 'Cats' three goals. He set up TJ Miller for Miller's first goal of the season to put Northern on the board late in the first. Butcher then answered Dustin Gazley's goal with a tally of his own to give Northern a 2-1 lead. Tropp scored at 13:48 to send the game into overtime. In overtime, Butcher scored at 3:59. Miller and Erik Spady, who assisted on Butcher's earlier goal, earned points on the play. Stewart had 24 saves for Northern, while Drew Palmisano had 30 saves for State. Northern faces UP rival Lake Superior State on the road next weekend. 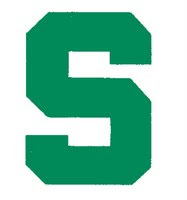 The Spartans have a home-and-home series with Bowling Green.